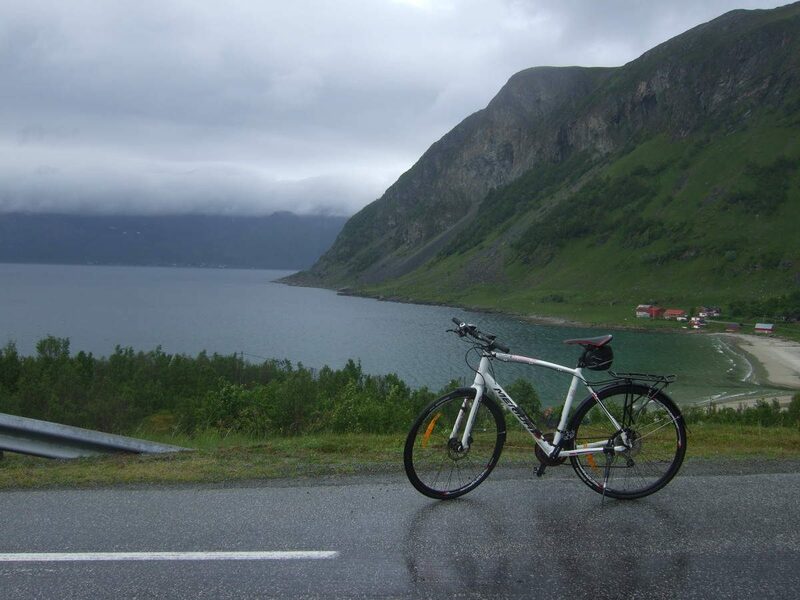 Tromso is prepared for adventurous people, therefore it is easy to rent a bicycle. I got my bicycle from Tromso Outdoor situated in the city center. Depending on your needs you can choose between city, touring and mountain bikes. For this trip you should go with a touring bike. The bike I have picked was a Merida Speeder 200-D, a hybrid/trekking bicycle perfect for shorter trips. I am used to mountain bikes and this one was very similar to them with its geometry, flat handlebar and mountain bike type of shifters and pedals. On the other hand the bigger and narrower wheels made it fly on tarmac roads. For longer, multi-day tours I would pick a touring bike. Tromso Outdoor provided me a helmet and the tools to repair smaller problems or a puncture on the road. The staff was very friendly and helpful. They even provide you with a phone number to call them if you can not fix the bicycle and they will pick you up. Norway is an expensive country, but their prices are very good and they offer quality service and bicycles. And the best thing is that one day means 24 hours, so you don’t have to rush back in the afternoon before closing time. This is the map of the route. It is very easy to follow as you will cycle on clearly signposted roads. Starting from Tromso city center you will travel through the island of Tromso. There is a nice cycleway around the southern tip of the island. Follow the signs towards Kvaloya. Tromso and Kvaloya are connected by a huge bridge. The view from the top of it is beautiful. After crossing the bridge you will reach an intersection. 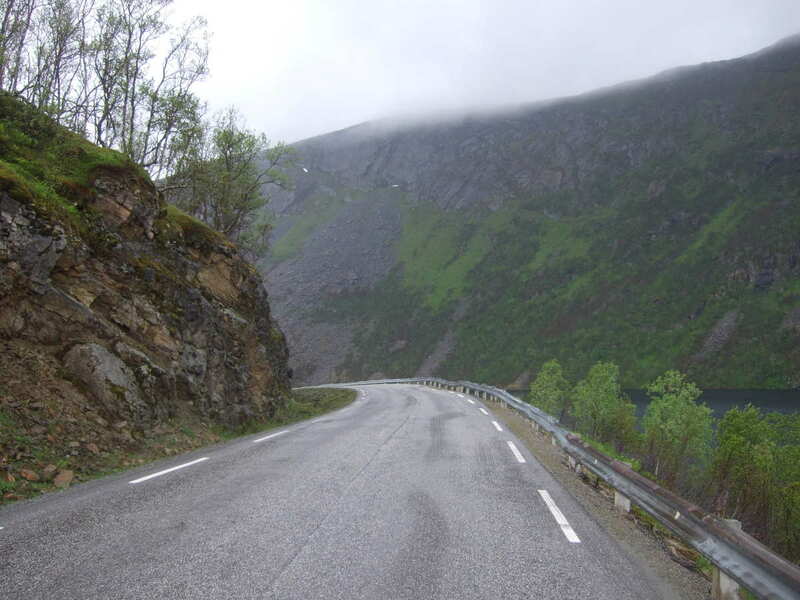 One of the roads goes to the north, but you should follow the one towards south-west to Kaldfjord. 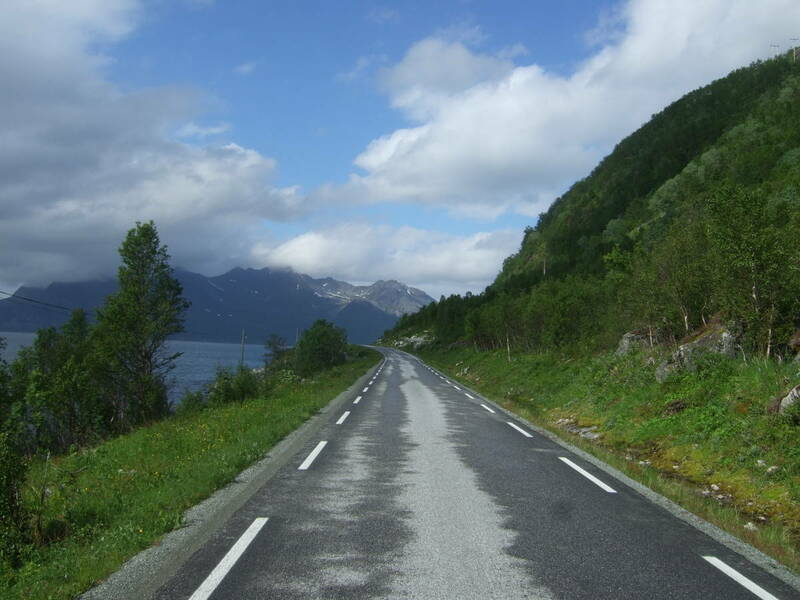 The road goes along the fjord that will be on your left side. 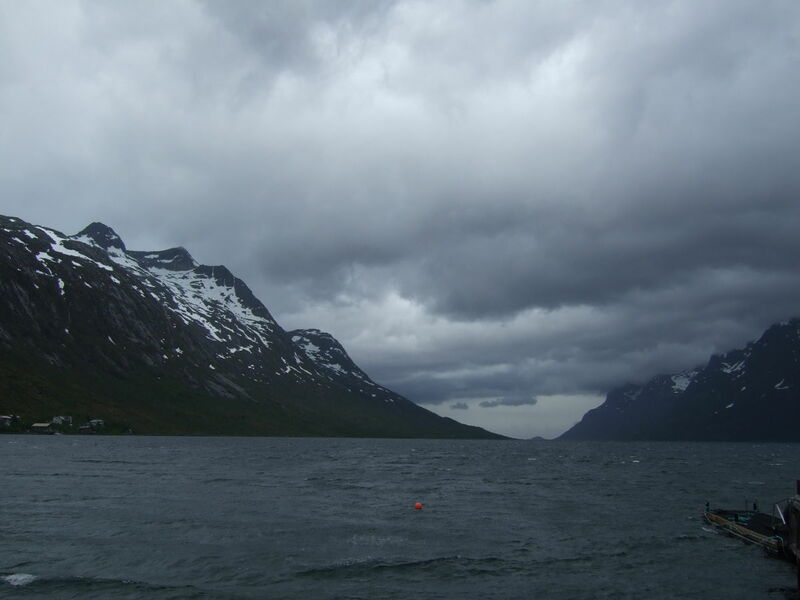 The below picture was made on my way back to Tromso. Soon you will reach Kaldfjord, a tiny village. It has a small harbor so it easy to recognize. 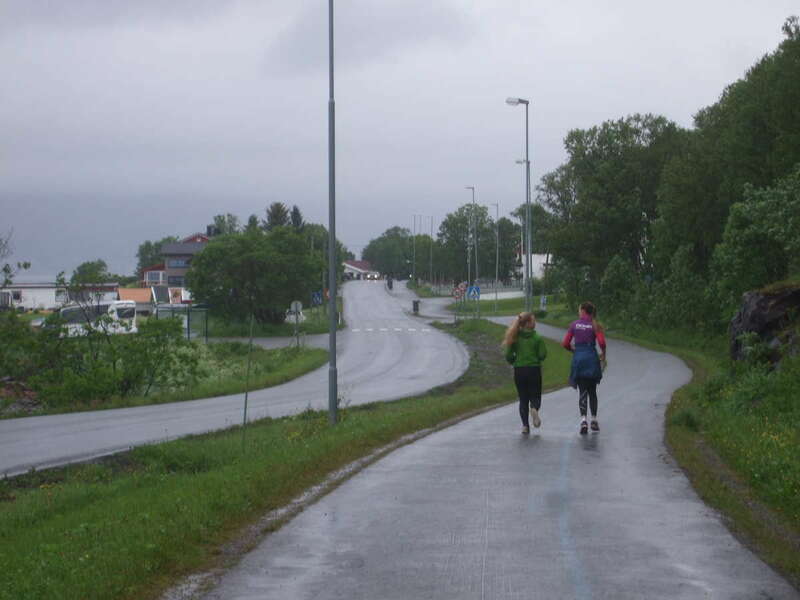 Here you will reach an intersection and you should leave the main road, turn right and cycle towards the direction of Tromvik and Erstfjord. As the road is well signposted I never had a problem finding the route. Soon you will leave all the houses behind and reach one more intersection — the last one for this route. 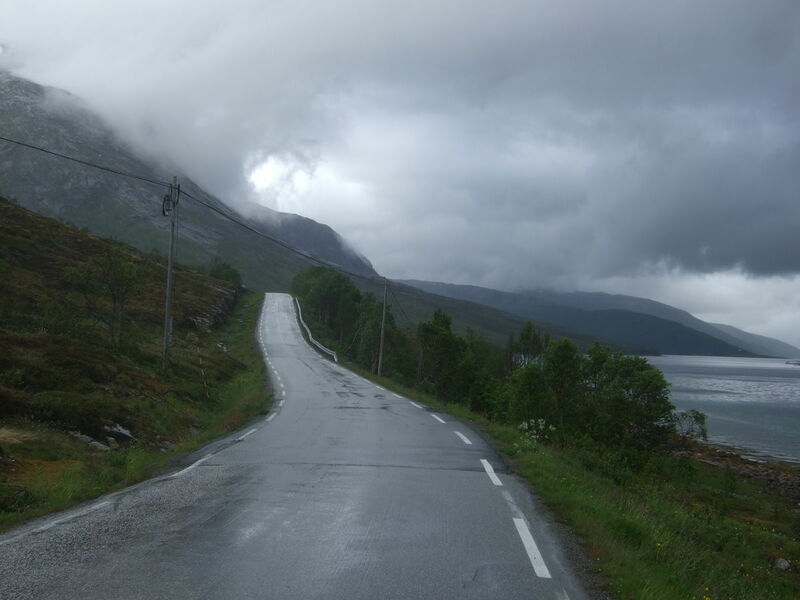 The road to Tromvik will go to the right, but you can continue forward to Erstfjord. 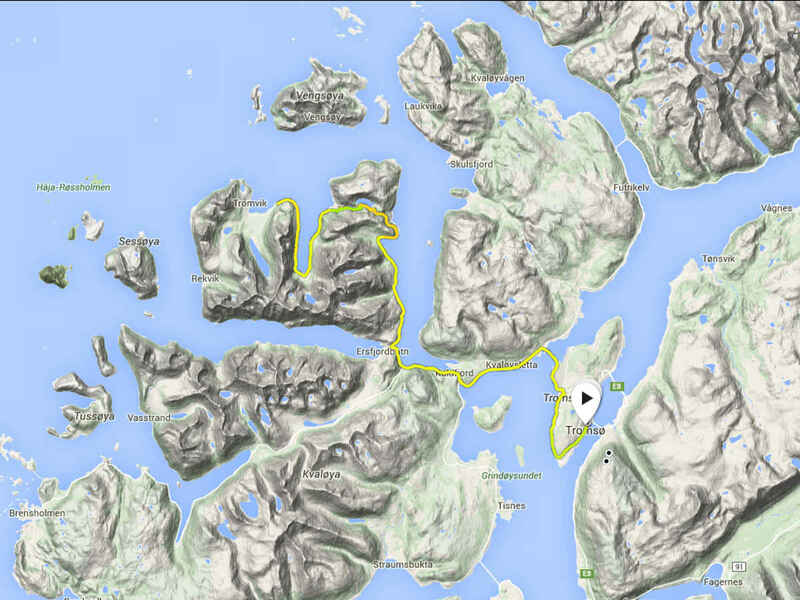 I really recommend taking this detour to Erstfjord if you have the time and energy to do it. 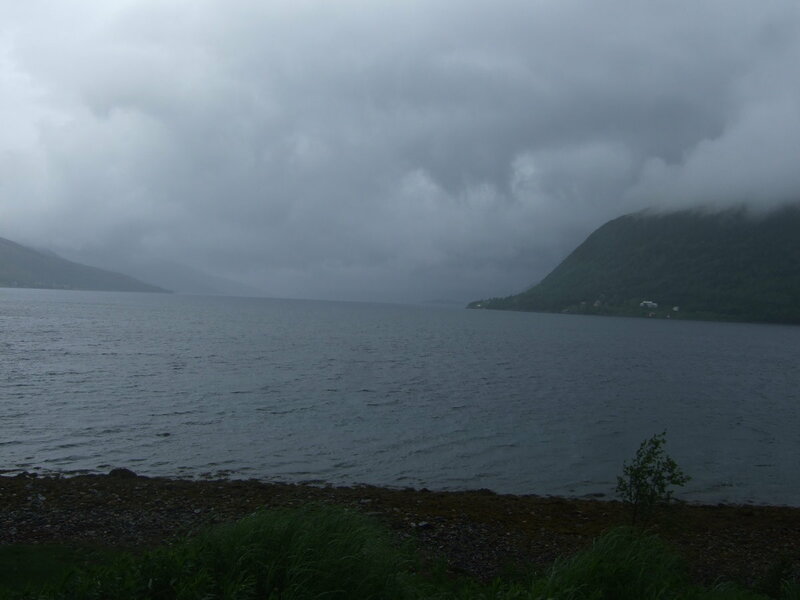 The view from Erstfjord is one of the best in this area, even on a rainy day. From here you should cycle back to the intersection towards Tromvik. 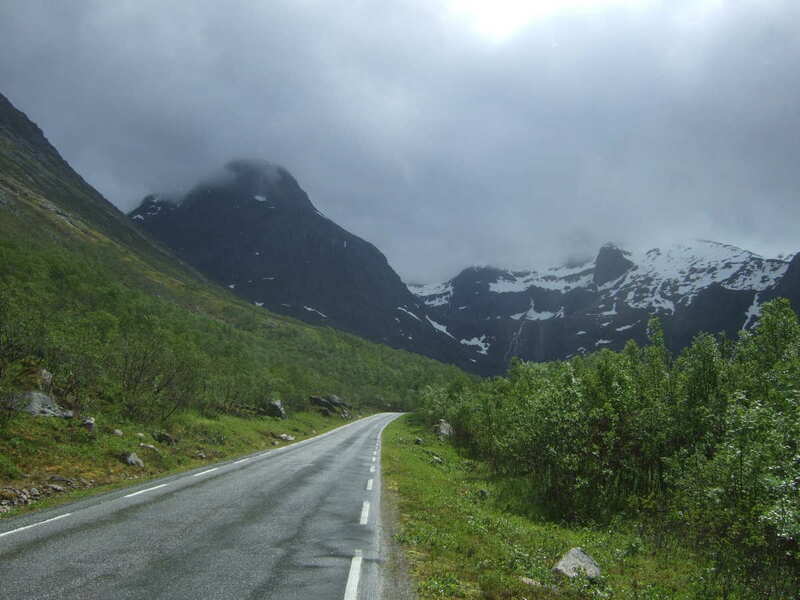 The road towards Tromvik is a very quiet country road with a forest on your left and a fjord on your right. The road goes on rolling hills. 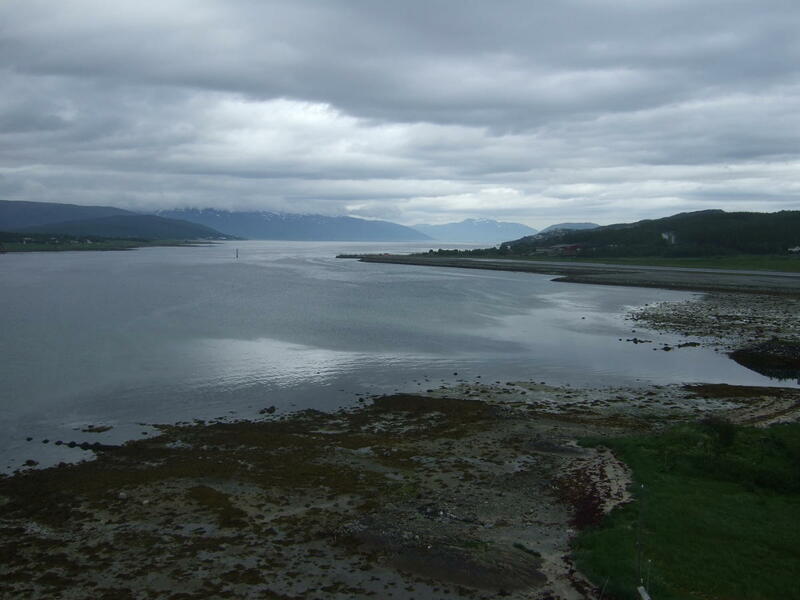 At one point it won’t follow the fjord any more as it turns left to cross the mainland. You will have to climb a steep hill. At the top of the hill you will find a few houses as there is a tiny village hidden here. After the hill you will go downhill for quite a while and you will rejoin the coastline. On your left side you will see a lot of mountains. There was still snow on them in June. On your right side will be a huge and beautiful fjord. Here is Grotfjord, a tiny village at the shore of the fjord. 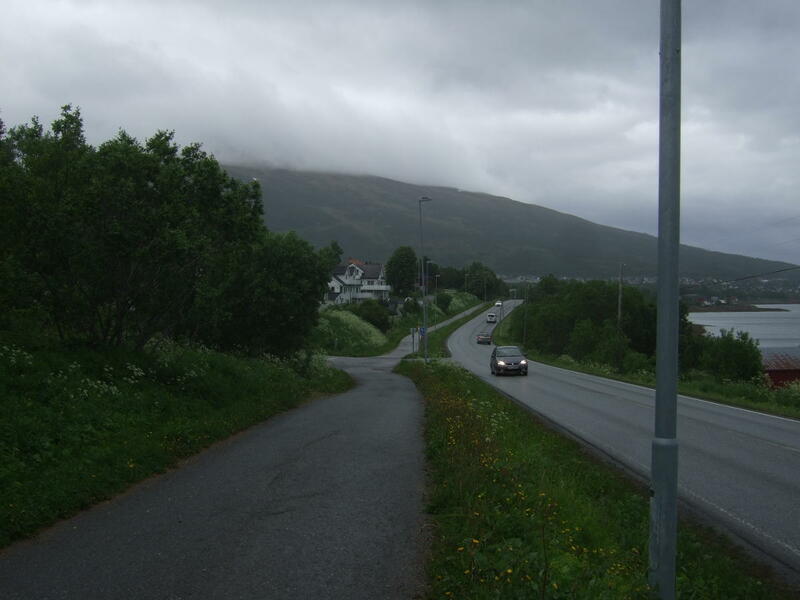 It is a very quiet road — the image shows the way back to Tromso. It is so beautiful I had to stop several times and wonder at the view. If you want you can get close to the water. 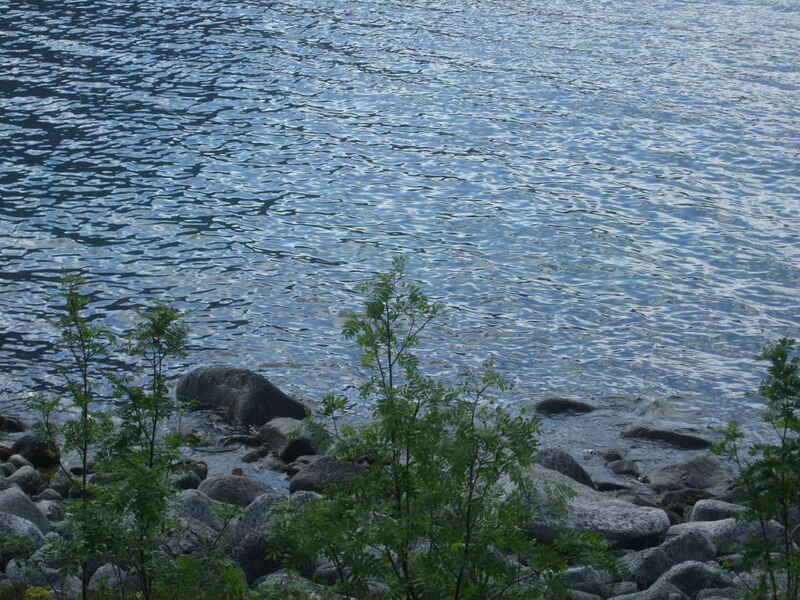 At Grotfjord there is a tiny beach, so if you don’t mind the freezing cold water you can take a dip. From Grotfjord it is a very short ride to Tromvik. 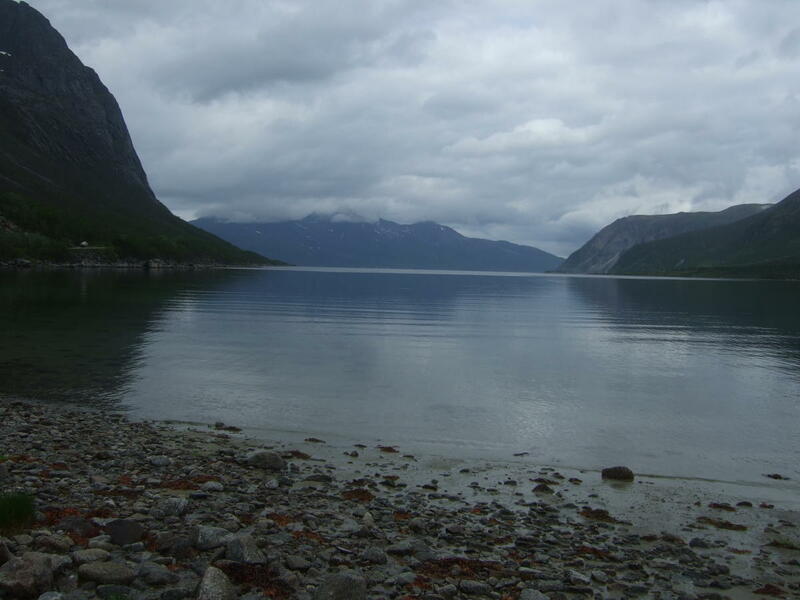 The scenery changes here as you leave behind the fjord and reach the open sea. You should stop here for a few minutes and enjoy the view. 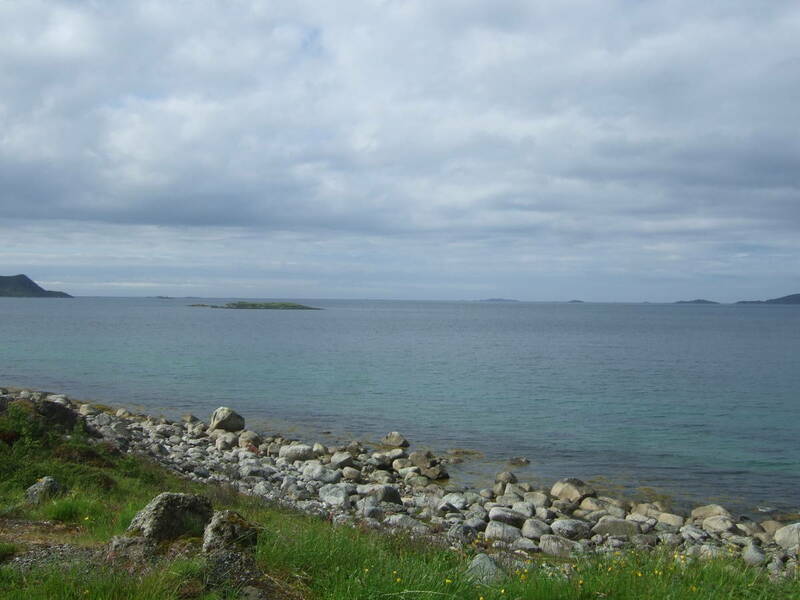 From Tromvik you can continue your route if you want or stop and relax at a bed and breakfast. I returned to Tromso which was challenging as my legs were already tired — I run the Midnight Sun Marathon just a few days before this trip. Climbing the hill at Grotfjord to get back to Kaldfjord was a real struggle, but afterwards the route got easier. This was probably the best cycling trip I have ever done and the longest one too. 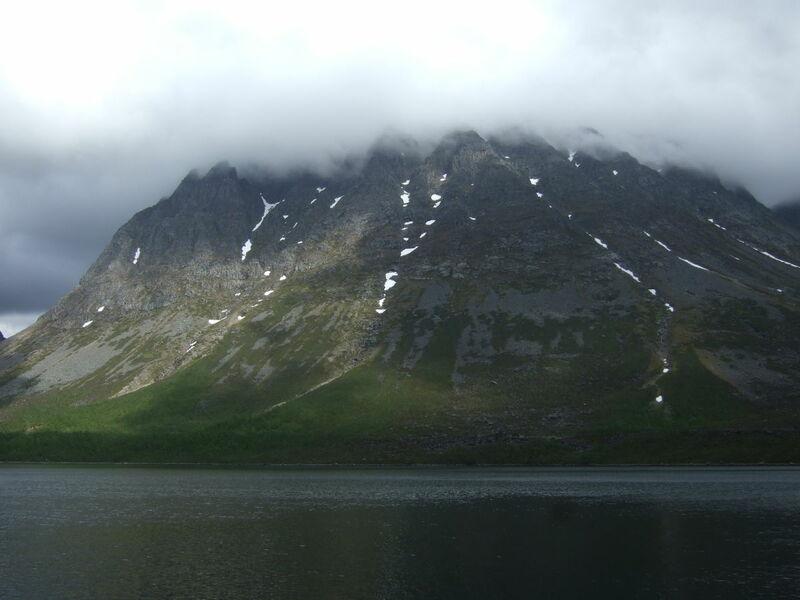 I cycled 100 kilometers — skipping the detour to Erstfjord — and it took me more than eight hours. I wasn’t in a rush and I stopped frequently to enjoy the view or to hide from the cold showers. 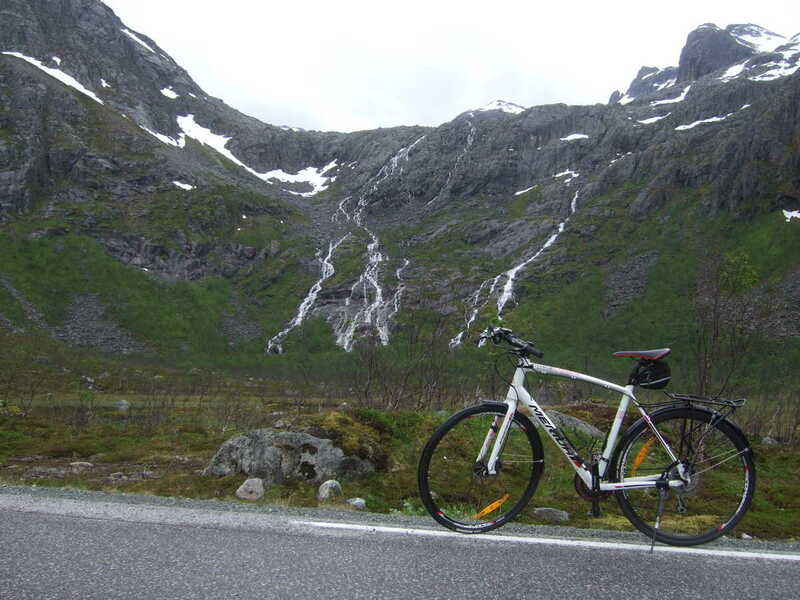 If you ever end up in the Tromso area I recommend you to rent a bicycle and explore the surroundings.